Some of Washington State’s best halibut fishing can be found at Middle Bank, right on the British Columbia border. In fact, both sides produce well for halibut anglers. The Purple line in the chart shows the border, which takes a hard left, giving anglers a good area to prospect for halibut. As you can see, the blue water is the shallow area of Middle Bank, while the white water is deeper. Halibut move shallow and deep, depending on tide and bait. Typically though, if the tide is strong, meaning it has lots of flow, go shallow. When the tide is weak, with less flow fish deeper. If you purchase an online license you are prohibited from fishing Areas 23, 121 & 123. Your online license will enable you to fish the inside waters of Vancouver Island all the way to the other side of Neah Bay. If you do fish Canadian waters, BEWARE! You MUST call 1-888-CAN-Pass (226-7277) at least two hours prior to entering Canadian waters if you are a NEXUS card holder. Non NEXUS card holders, in other words, most of us, MUST call upon entering Canadian waters. After several phone calls today to Canadian Customs, they did confirm that ANCHORING in Canada while halibut fishing is fine. That’s great news for all halibut anglers. FYI, you can purchase a 1 day, 3 day, 5 day or annual B.C. Saltwater fishing license. The daily limit is 1. The possession limit is 2, only one of which may be greater than 90cm in length. Annual limit of 6 halibut per license holder as authorized under the 2014/2015 Tidal Waters Sport Fishing License. 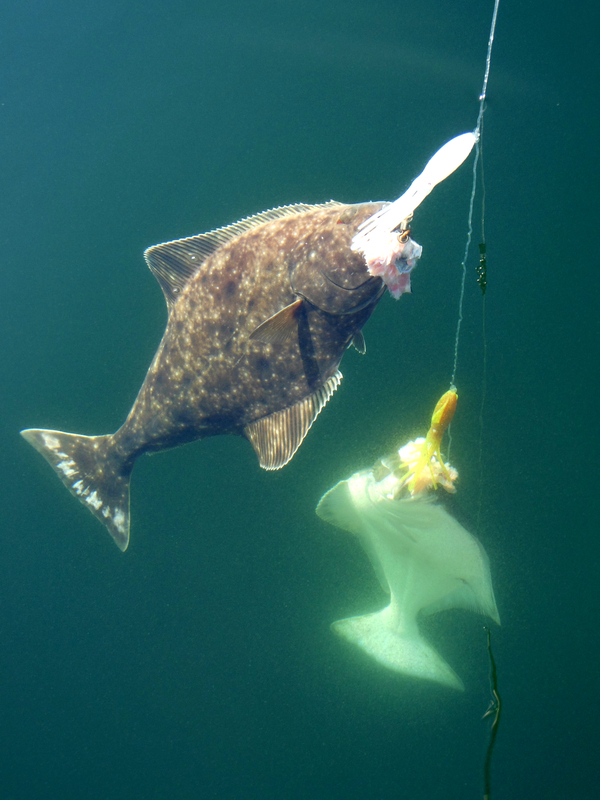 For each halibut retained by the license holder, the date of capture, the Fisheries Management Area from which it was caught and its length shall be immediately recorded in ink on the 2014-2015 Tidal Waters Sport Fishing License. This entry was posted in B.C. Halibut Maps, Washington Halibut Maps and tagged British Columbia Saltwater Area Map Showing Areas Anglers Can Fish With Online License, British Columbia Sport Halibut Fishing Regulations, Candadian Side of Middlebank, Fishing Canadian Waters Rules, Fishing Middle Bank, Halibut Fishing, Halibut Fishing Middle Bank, Middle Bank Halibut Fishing, San Juan Islands Halibut Fishing, Strait of Juan de Fuca Halibut Fishing, Washington Halibut Fishing. Bookmark the permalink. …unless I am reading it wrong. The Canadian rules are very complex. Do you know if that’s correct? I was over there the other day and I saw boats in the RCA, but I am not sure if they were fishing or not. Yes, some areas are rockfish conservation zones, but as far as I can determine it is legal to fish for halibut. You can’t retain rockfish though. In B.C. anglers may keep one yelloweye per day, unless they are fishing in a rockfish conservation zone. I was at Coyote Bank last week and the area had several anglers fishing for halibut. Good luck. If you ever want to send me a message just sent it through halibut.net.